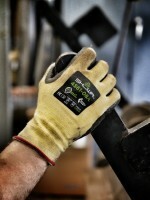 Smart devices have created connections across industrial operations with the potential to empower plant or distributed workers. For many producers going through a digital transformation, these modern tools can take too long to deploy, with too much investment required to decipher and deliver relevant data to the right employees. Rockwell Automation is enabling teams on the plant floor to make better, quicker decisions with the FactoryTalk Analytics for devices and appliances, and a FactoryTalk TeamONE Standard Edition app. These off-the-shelf offerings require minimal configuration and can help solve common maintenance problems faster, which keeps unplanned downtime at a minimum. The appliance and app quickly help improve reaction time for maintenance teams and assist decision makers with health and diagnostics analytics for industrial devices and systems. “These offerings were built with ease-of-use as a primary goal,” said Michael Pantaleano, global business manager, Rockwell Automation. “We’ve worked closely with our customers on these solutions, proving that an instantly available app and a scalable analytical appliance that work out-of-the-box can deliver immediate value…” Rockwell highlights that these solutions also help maintenance teams easily discover the health of their devices and better collaborate in context with insightful information (these are some of the first subscription offerings from Rockwell Automation). To further streamline the adoption process, a new e-commerce portal is used to manage the above tools. All subscriptions and management can take place within a single, self-service portal. Focused on reducing mean time to repair (MTTR), Rockwell Automation is releasing a new edition, dubbed the Standard Edition, of the FactoryTalk TeamONE app. The new edition adds an alarm module, enabling teams to collaborate with live alarm details. This gives users the ability to easily view all active alarms. They can also view, share and post new details, delivering better team collaboration by adding context with alarm information. Alarms requiring immediate action can be shared with specific team members or posted to the entire team for group management and resolution. As a smart node, the FactoryTalk TeamONE app requires no server, device to cloud gateways, or IT setup for manufacturers to realise value, which expands as they go through their digital transformation. The app is currently available on the Apple App Store and Google Play store, and a new user account takes just minutes to set up. The new Standard Edition is a paid yearly subscription and expands the features available in the free edition of the app. Released in 2016, the FactoryTalk TeamONE Free Edition app provides near-instantaneous incident and device data to plant-floor maintenance teams that include engineering, trades and IT workers. The free edition removes the barriers for industrial teams to collaborate and quickly solve issues with contextualised plant-floor data like trends and device status. Modules in this free edition include Incident, Device Status, Teamboard, Knowledgebase, Pinboard, Chat and Trend modules. Within the FactoryTalk TeamONE app, customers can even have a mix of free and subscription users on their teams. After the connections are made, the application detects automation devices on the network without disrupting performance. Plant-floor teams then gain access to specific calls-to-action, instant device displays and an advanced machine-learning-based chat bot, which are all available from within the appliance. The appliance learns what is important to users by continuously analysing the devices on the network and delivering recommendations to help maintenance and engineering teams prevent unplanned downtime and repair systems more quickly. The FactoryTalk Analytics for Devices appliance can detect and perform a basic analysis on any EtherNet/IP device. The appliance also has detailed analytics for over 2000 Allen-Bradley devices. The first year’s subscription is included for each appliance. Subsequent subscriptions are encouraged for customers to progressively receive updated analytics, features and device support, including third-party devices. Hand protection specialist GLOBUS says it has further enhanced its leading portfolio of safety gloves with the introduction of the new SHOWA 4561. Next year’s CeMAT – the world’s leading intralogistics fair – will have a completely new look, being co-located for the first time with Hannover Messe. The traditional time of year will also change: Instead of a biennial appearance in May or June, the logistics industry will be showcased from 23 to 27 April in pavilions 32 to 35 as well as in adjacent halls at the Hannover Exhibition Grounds. PWE reports.